It’s a surreal question our patient services team when answering an incoming call is often asked… “Are you a real person?” It would be funny, if it weren’t a sad reflection of the downside of innovation and automation. When you have a need and call someone, few things are much more frustrating than waiting on hold indefinitely, only to be addressed by a robotic voice that can neither understand nor respond to your needs. Empathy should always be at the top of any list describing your patient experience. Patients are real people with real needs and emotions and want to be heard when they call. Whatever the reason that prompts the call to our contact center, patients are always treated with the utmost empathy and respect. You’ll find our representatives and patients building relationships. Some patients have been known to go so far as to send or deliver homemade baked goods as a sign of their appreciation! Timely service is critical to success in any service provided. Busy schedules make waiting on hold and lengthy calls an inconvenience to today’s patients. 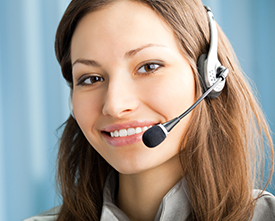 Your contact center should be able to provide you statistics on how your patients are serviced. Look for results that respect your patient’s time. Our contact center boasts an average call wait time of 24 seconds or less before speaking to a real person located in our corporate office and an average call duration under 2 ½ minutes. Knowledgeable team members are necessary to provide great service. Empathetic and prompt service lose their value when the people behind it are unable to competently answer questions. Our team of experts takes the time to answer all questions and routinely educates patients on insurance processing including the difference between professional and hospital bills. The team should be trained to use payor websites to assist patients in resolving their claims. Our team is empowered to reach out to payors with patients when they are having difficulty understanding the process. We frequently have three-way calls with the patients and their insurance carrier to resolve issues and make sure everyone is on the same page. Determination to do the right thing is essential to excellent patient outcomes. A truly great patient contact center will go above and beyond to assist the patient. Our team routinely communicates patient concerns regarding coding and diagnosis, demographics as well as pre-authorization. Often this results in corrected claims, updated demographics, and satisfied patients. We recently assisted a patient having difficulty with her insurance regarding screening versus diagnostic procedures. After multiple attempts to resolve the claim herself, she reached out to our expert team. We stepped in and bridged the gap providing the necessary elements to resolve the claim. Effective results mean your patients don’t have to make multiple calls back to resolve their issue. The goal of every call received should be first call resolution. Our patient account services team prides itself on the effective blend of empathy, knowledge, and determination to provide the best service to every patient. Are your patients able to quickly and easily be in touch with a real person? Call your patient contact center. Compare the results and determine if it meets your expectations. If you have any doubts about your current provider, chances are your patients do too. Contact us today for a real solution, with real results.